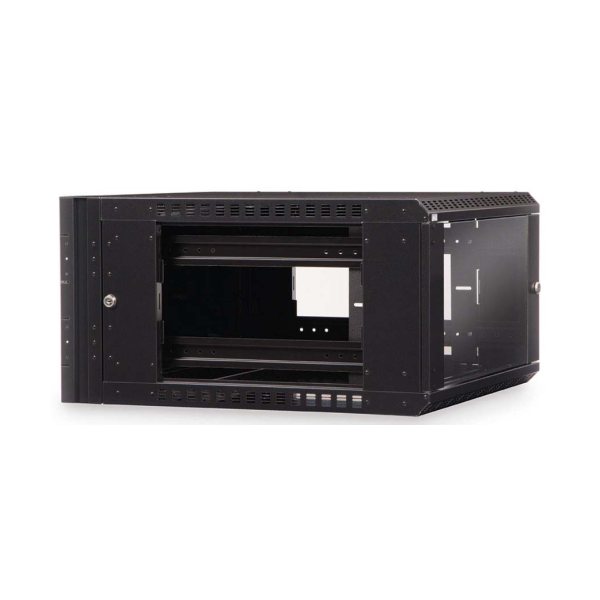 This Swing-out Wallmount Cabinet allows easy access to all four sides of installed equipment. 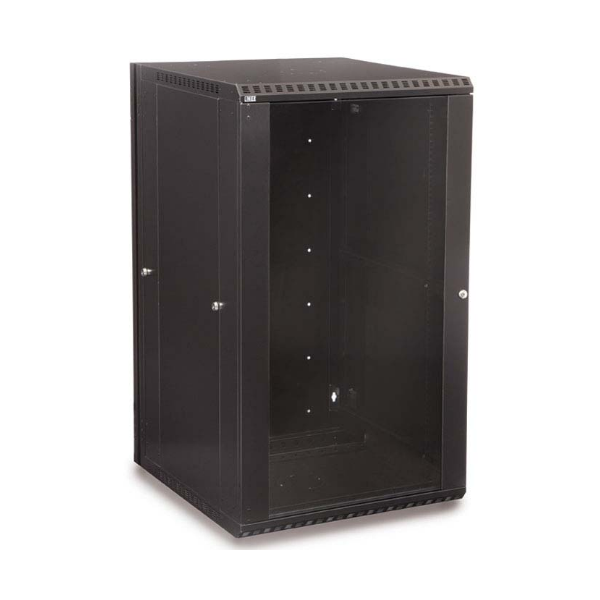 When installing and terminating network cables, swing-out cabinets make it easier. 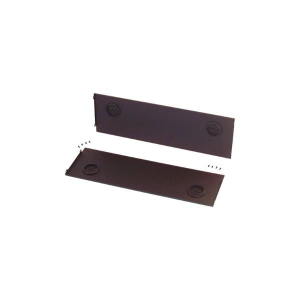 Swing-out style wallmount cabinets are the most common and used for every type of installation. 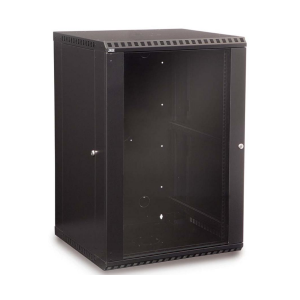 This Swing-out Wallmount Cabinet takes it one step further by having removable locking side panels. This makes it easy to access equipment and terminations from every angle. 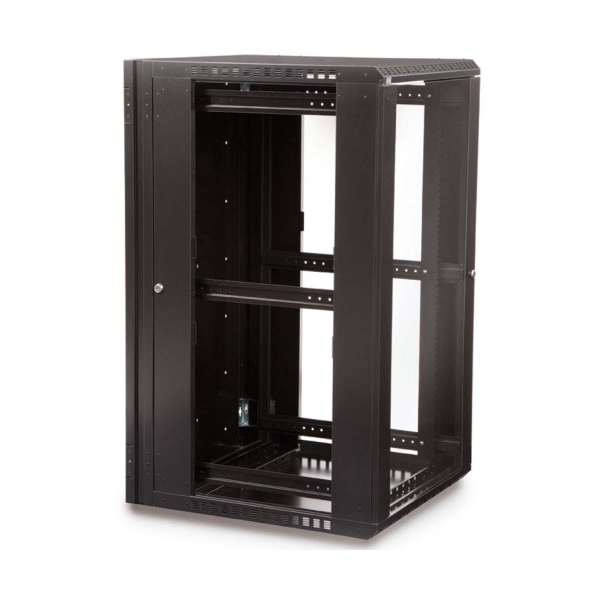 Don’t work around the rack, get a rack that works around you. 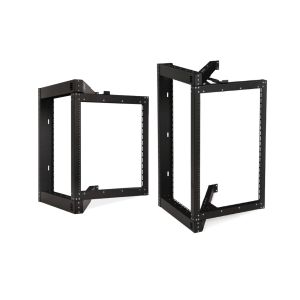 These low cost Swing-Out Wallmount Cabinets save time and money, and deliver more features that will make your next installation easier. 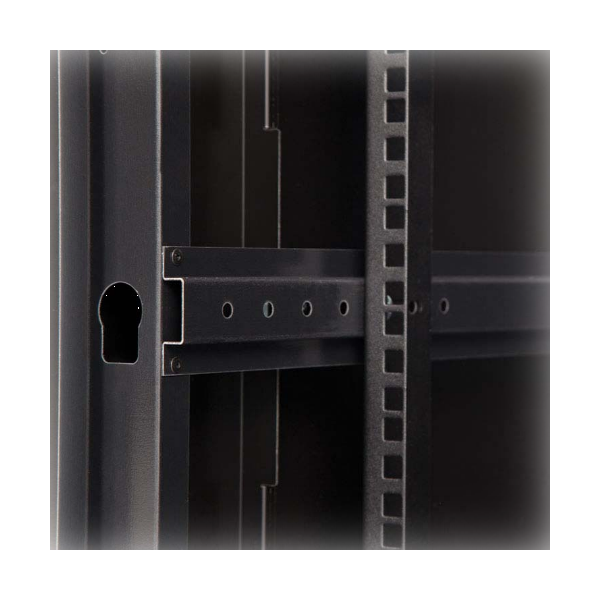 This Swing-out Wallmount Cabinet swings-out 90 degrees from the wall and has removable locking side panels giving easy access to all four sides of the cabinet. Locks keep equipment secure. The unique mounting system makes installation a breeze. 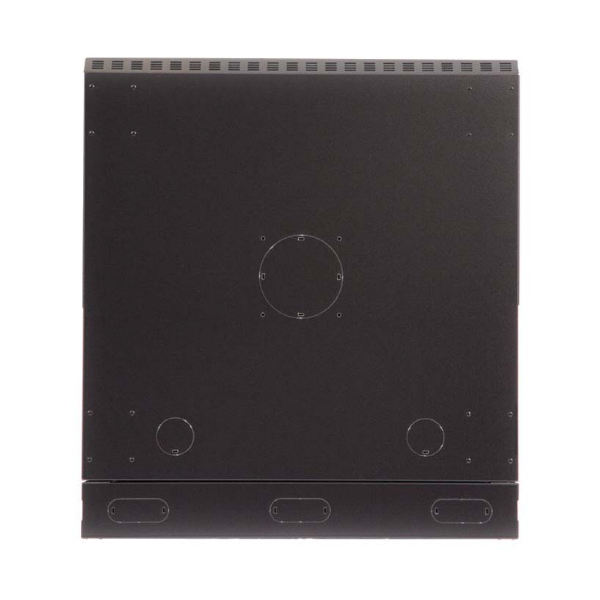 The four removable cable slot panels make managing cables simple. When heat is an issue, simply install the optional fan kit. 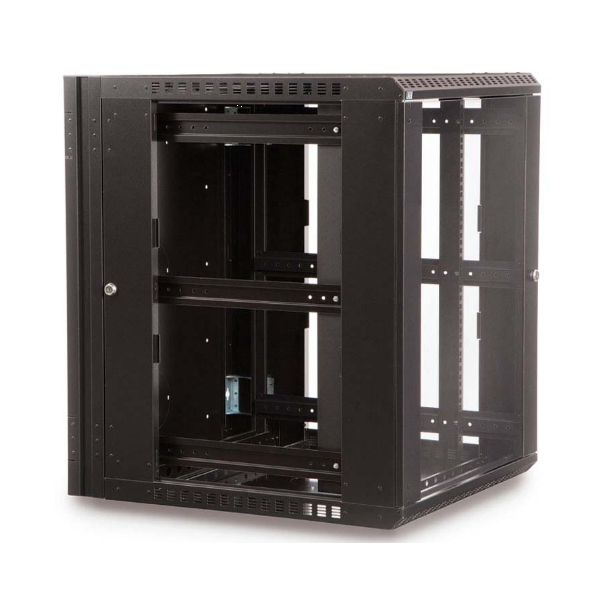 All of the features that these Swing-out Wallmount Cabinets have make it a simple choice when installing CAT5, CAT5e, fiber optic cables, switches routers and so much more.